Donald Miller, author of the bestselling book, Blue Like Jazz, will discuss the relevance of Christian faith for everyday life on Friday, Sept. 18, at 7 p.m. in Cowles Memorial Auditorium at Whitworth University. Admission is free for Whitworth students, faculty and staff, and $15 for the general public. To purchase tickets, visit http://amillionmiles.com/. For more information, please call (509) 777-4655. Miller, whom Publishers Weekly calls "an earnest evangelical who nearly lost his faith," is a writer, campus ministry leader, and speaker who resides in Portland, Ore. His new book, A Million Miles in a Thousand Years: What I Learned While Editing My Life (Thomas Nelson), is due out later this month. Miller’s visit to Whitworth, which is one of only three stops in Washington state, is part of a 65-city national tour to promote the book. "We are excited to have Donald Miller on campus to talk about A Million Miles in a Thousand Years," says Nicole Boymook, associate director of residence life at Whitworth. "His writings have had a tremendous impact on many Whitworth students over the past several years. He has a unique, creative way of challenging his readers to look at their faith from new and inspiring perspectives, which is something we're committed to helping our students do as well." 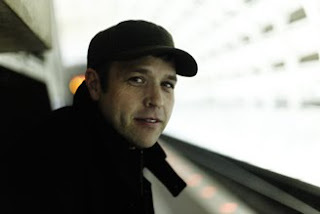 Miller is best known for his New York Times bestselling book, Blue Like Jazz: Nonreligious Thoughts on Christian Spirituality (Thomas Nelson, 2003), in which he tells how he came to "throw out Christianity and embrace Christian spirituality." He says he sees the message of Jesus as personally and culturally relevant, but is troubled by the way Christianity is practiced today. For instance, Miller says he has been disillusioned by his encounters with churches in which love and community are given conditionally. His search for the essence of Christian spirituality has led him to believe that authentic Christian practice ultimately means "loving people just to love them, not to get them to come to church." In Blue Like Jazz, Miller wrestles with questions about life and faith; his intellectual curiosity and skepticism; and art, literature, film and pop culture. He explores sin, guilt, doubt, loneliness, romantic relationships and the importance of community. The book's name reflects its tone as an episodic rather than linear narrative, written as a series of short, improvisational essays. "I used to not like jazz music because jazz music doesn't resolve," Miller writes. "I used to not like God because God doesn't resolve…The first generation out of slavery invented jazz music. It is a music birthed out of freedom. And that is the closest thing I know to Christian spirituality. A music birthed out of freedom." Publishers Weekly calls Miller "enjoyably clever, and his story is telling and beautiful, even poignant." Christianity Today says the stories within the book are "permeated with gritty authenticity and humor. Miller's words will resonate with any believer who has ever grappled with the paradoxes of faith." Miller also is the author of To Own a Dragon: Reflections on Growing up without a Father (NavPress Publishing Group, 2006), Through Painted Deserts: Light, God and Beauty on the Open Road (Thomas Nelson, 2005), Searching for God Knows What (Thomas Nelson, 2004), and Prayer and the Art of Volkswagen Maintenance (Harvest House Publishers, 2000). In addition, he founded The Belmont Foundation, which works to recruit 10,000 mentors through 1,000 churches as an answer to the crisis of fatherlessness in America. Nicole Boymook, associate director of residence life, Whitworth University, (509) 777-4655 or nboymook@whitworth.edu.